Virginia was born in Huntingburg, Indiana, on July 9, 1930, to Anthony and Clara Stetter. She married Ambrose F. Miller on June 24, 1950, and he preceded her in death on December 12, 2000. Virginia worked at General Electric for several years and then retired from OFS, where she had worked for 14 years. She was a member of Divine Mercy Parish - St. Anthony Campus. She enjoyed being outdoors, especially landscaping, and she loved to crochet. Surviving are one daughter, Diana Gilbert, Holland, IN, six grandchildren, ten great grandchildren, and one sister, Dorothy Demuth, St. Henry, IN. Preceding her in death besides her husband is one son, Alan Miller. A Mass of Christian Burial will be held at 11:00 a.m. on Wednesday, February 13, 2019, at St. Anthony Catholic Church in St. Anthony, Indiana, with burial to follow in St. Anthony Cemetery. 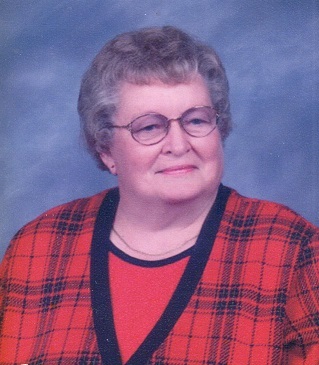 A visitation will be held from 9:00 a.m. until the 11:00 a.m. service time at the church on Wednesday.